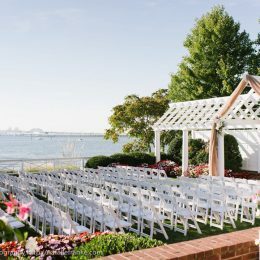 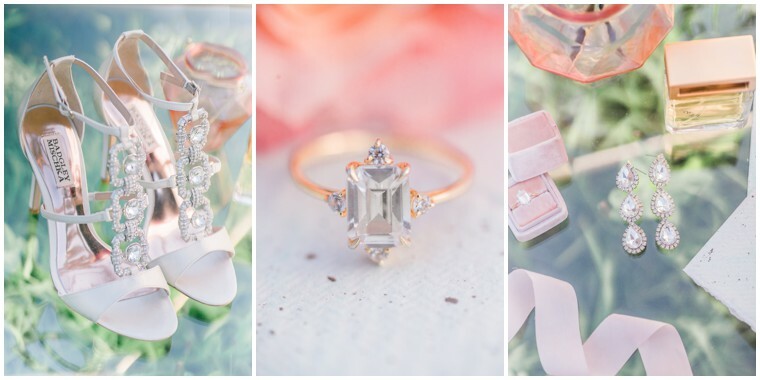 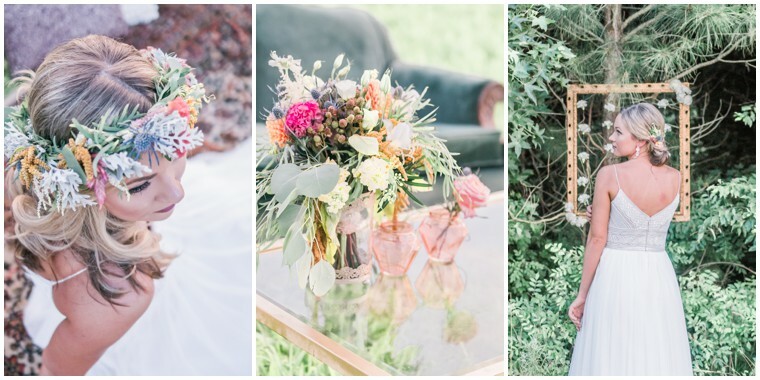 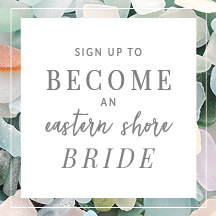 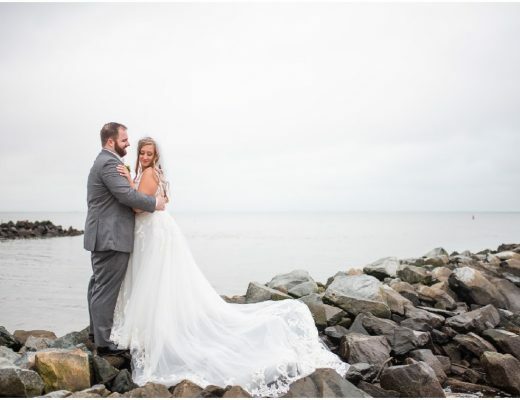 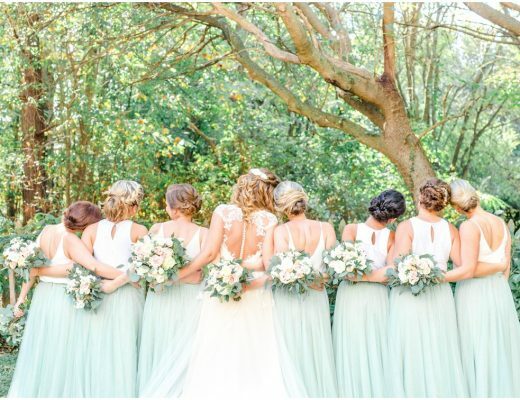 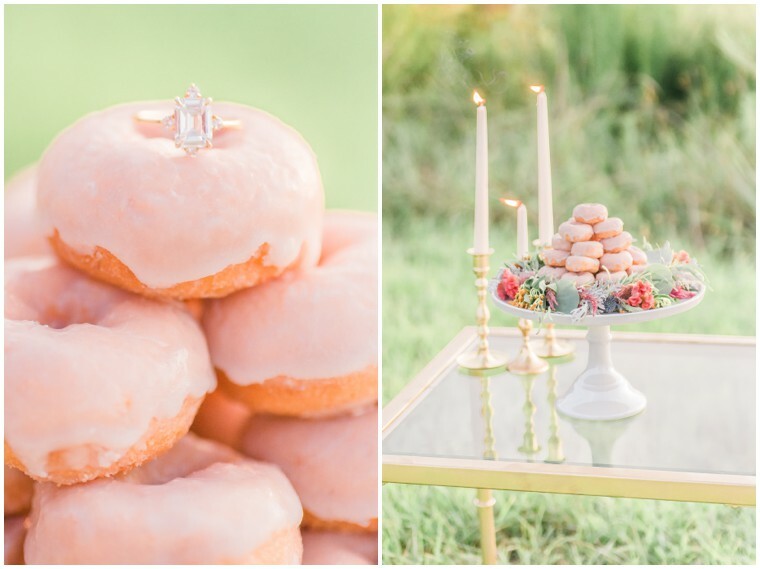 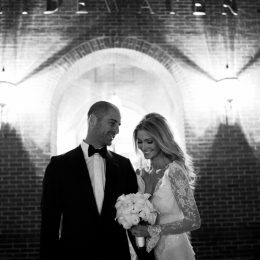 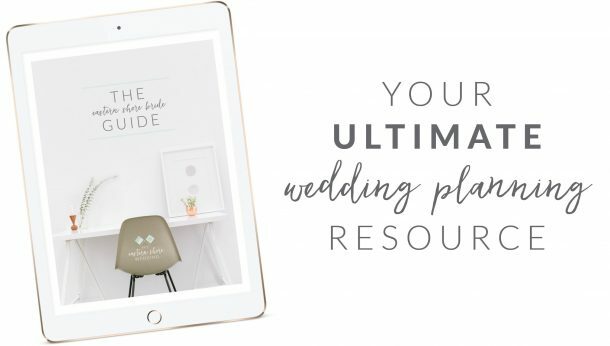 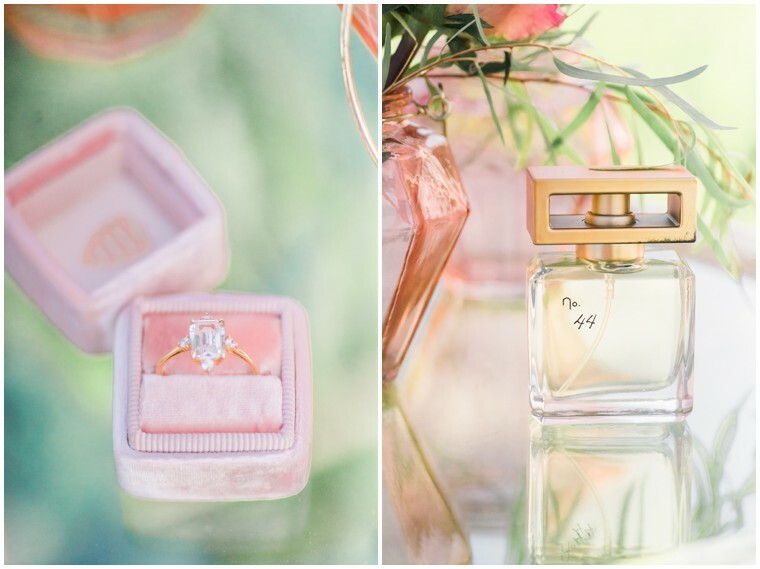 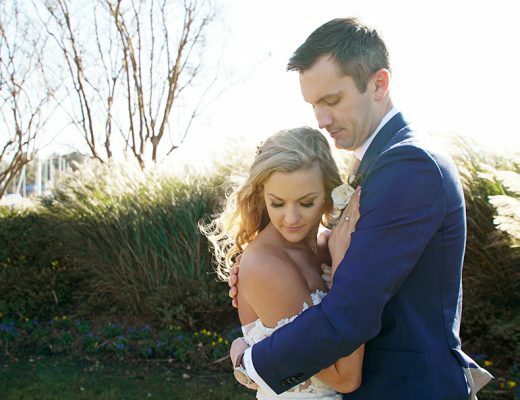 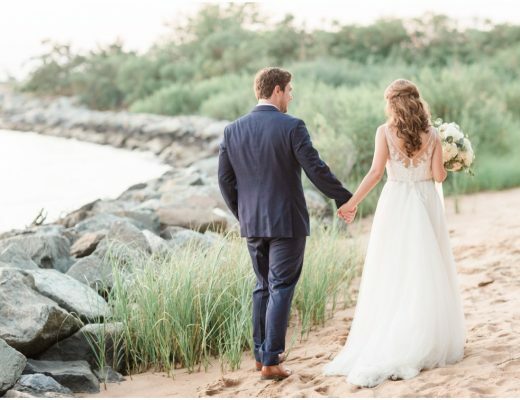 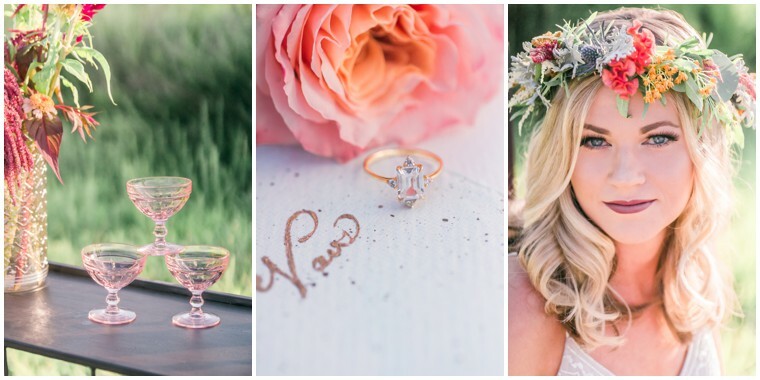 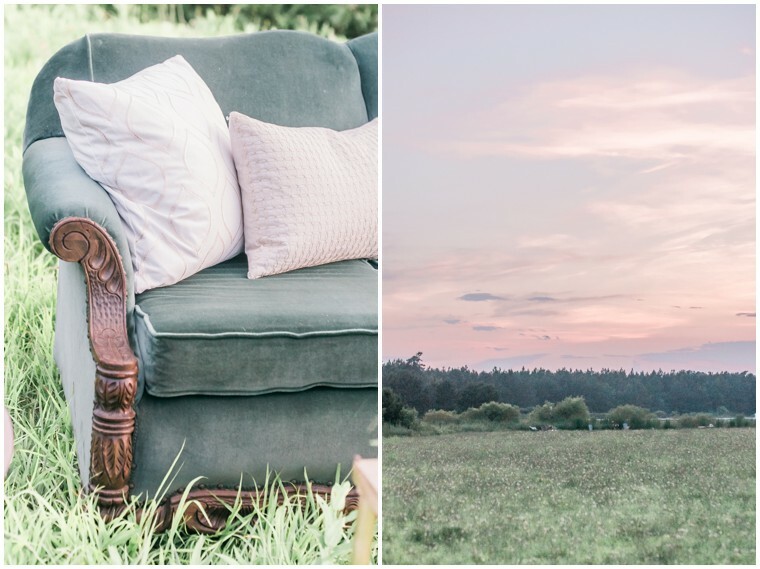 Elegant Meets Boho with this Romantic Wedding Inspo! 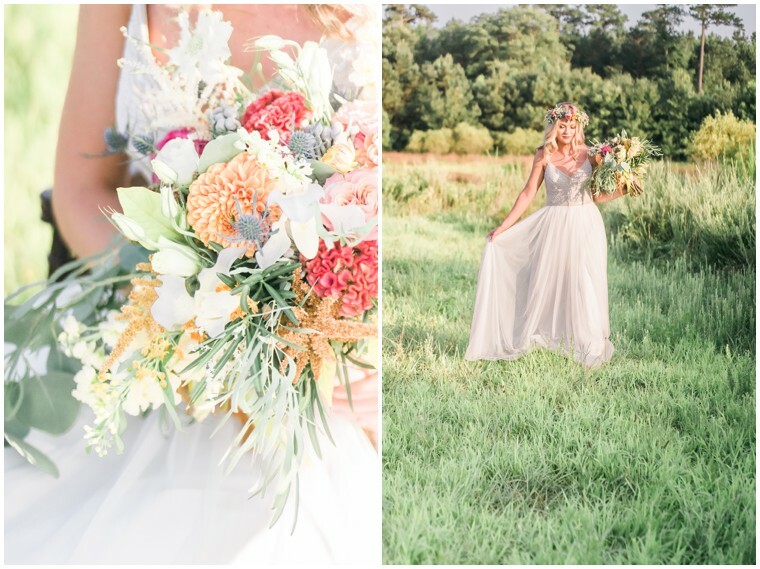 We’re ready to trade in our beach coverups & sunglasses for suede booties & scarves, and this boho elegance inspo from Manda Weaver Photography is what we’re channeling when we envision this transition. 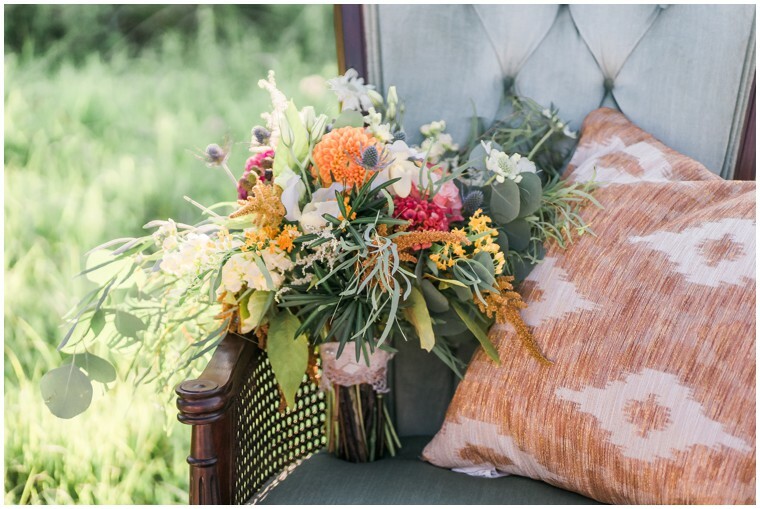 That perfect “season” between summer and fall is one of our favorite times of year, and this color palate layered with a mix of patterns & textures from A Little Rusty Shop sums up all the reasons why. 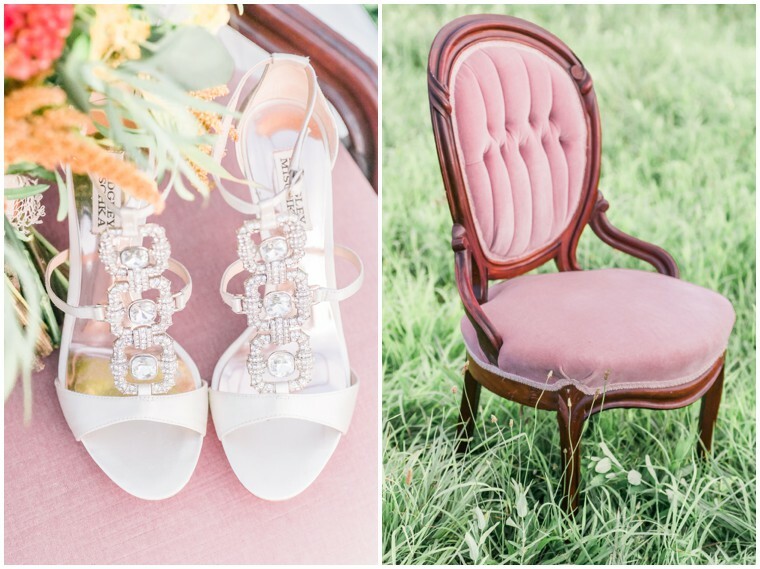 Soft jades and burnt oranges, dusty pinks and deep magentas–we’re hooked! 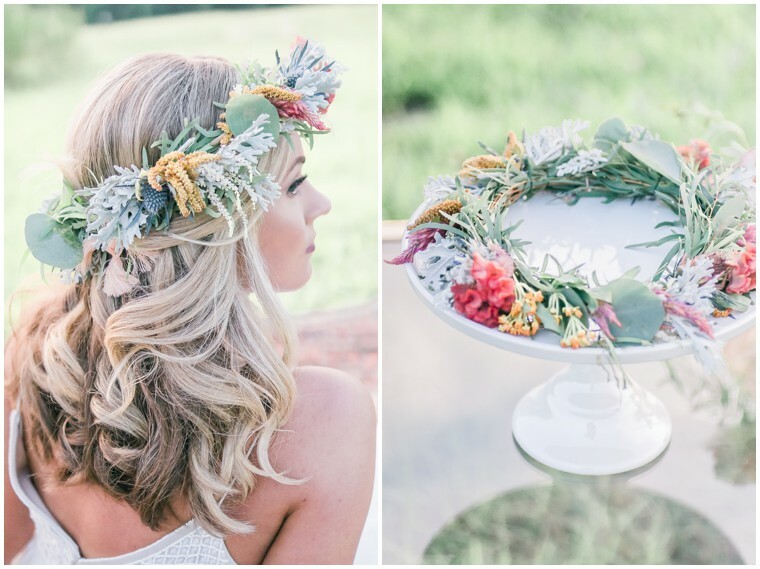 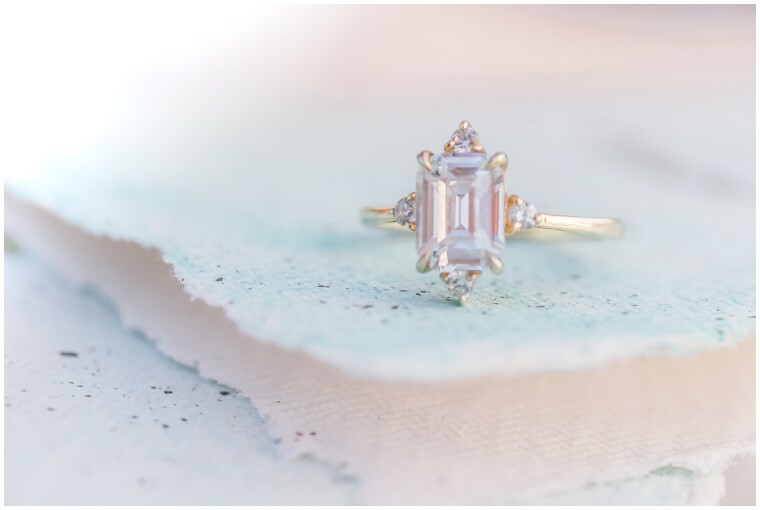 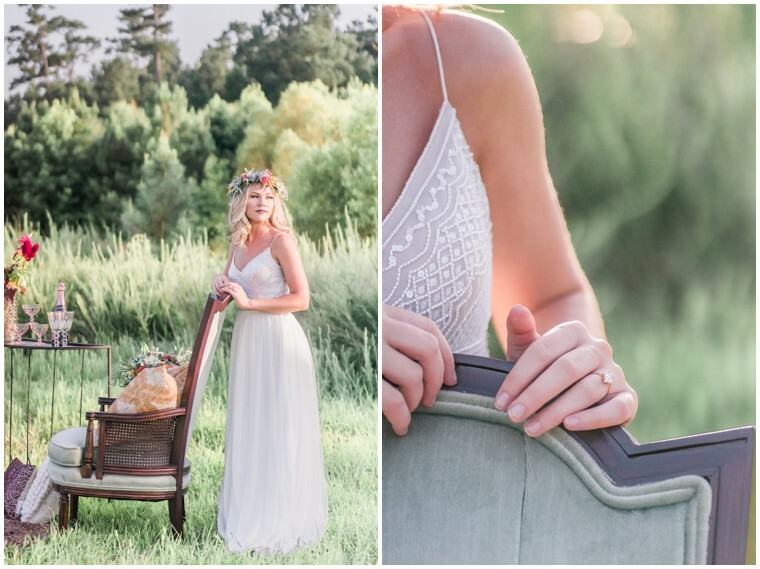 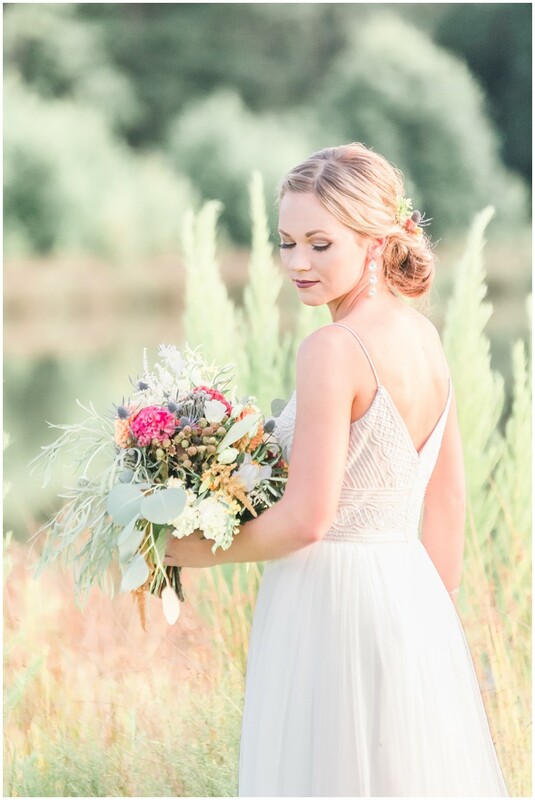 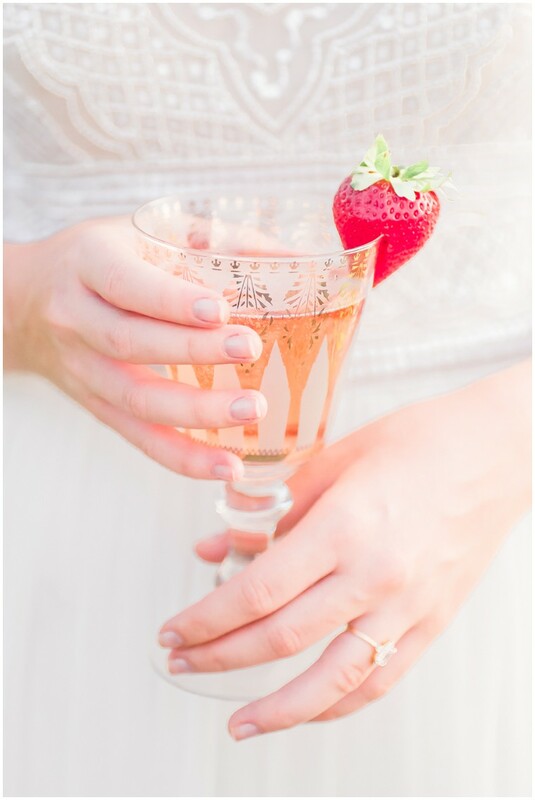 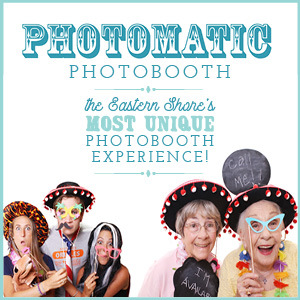 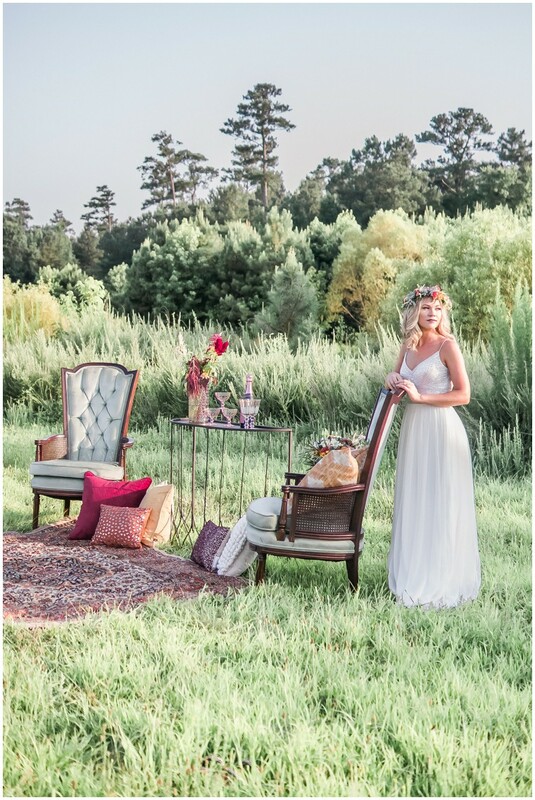 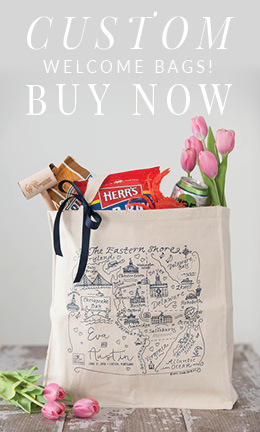 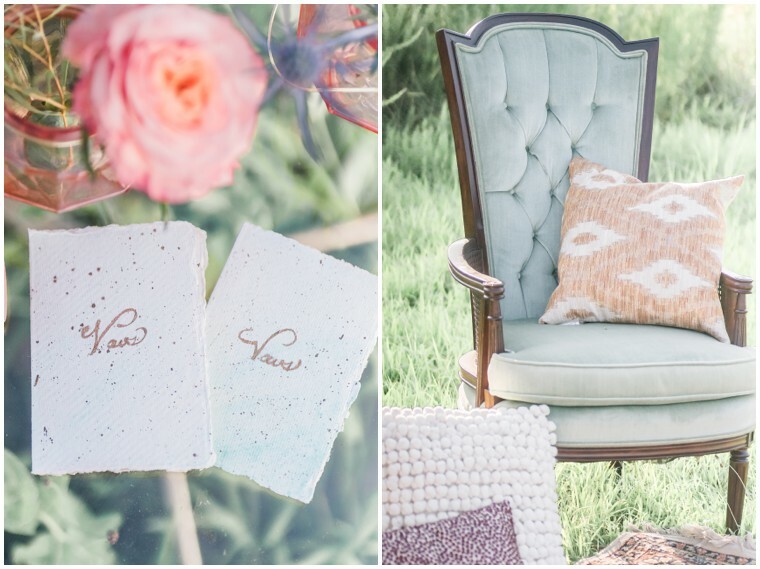 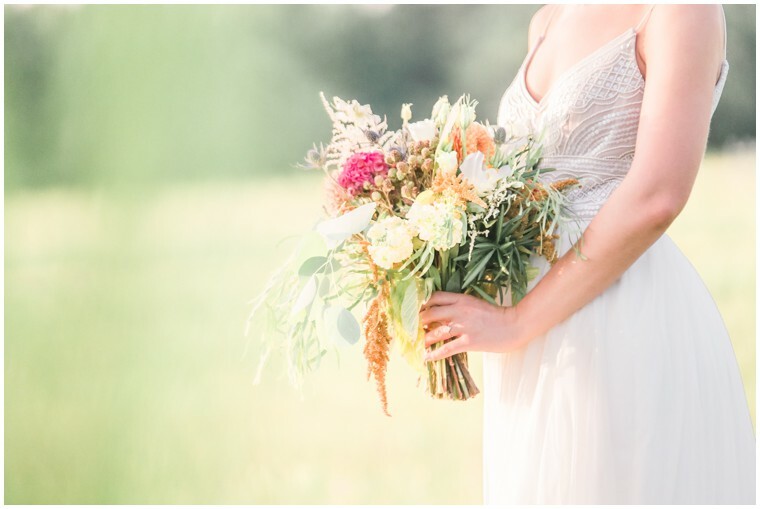 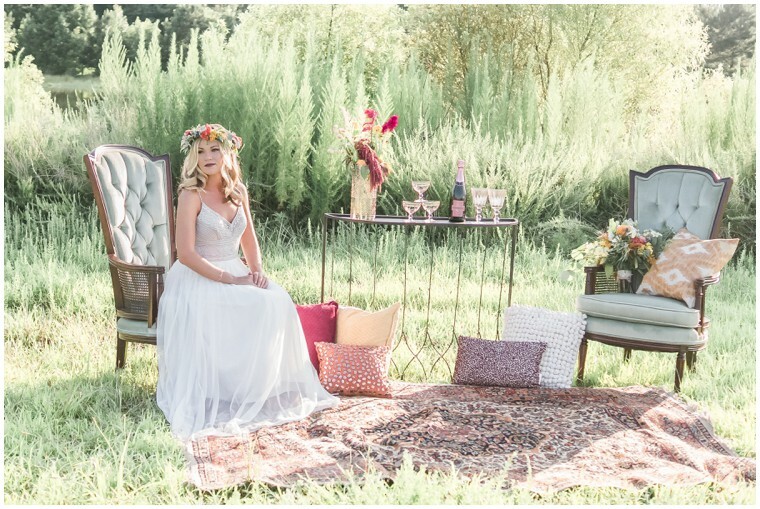 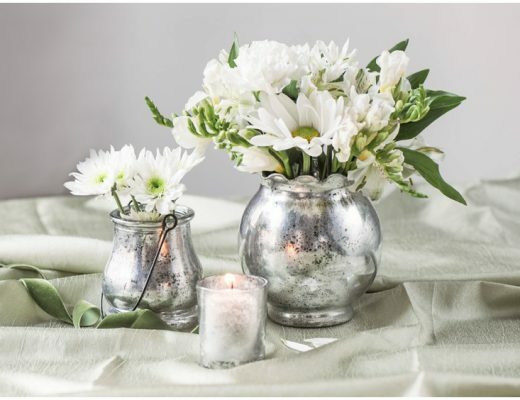 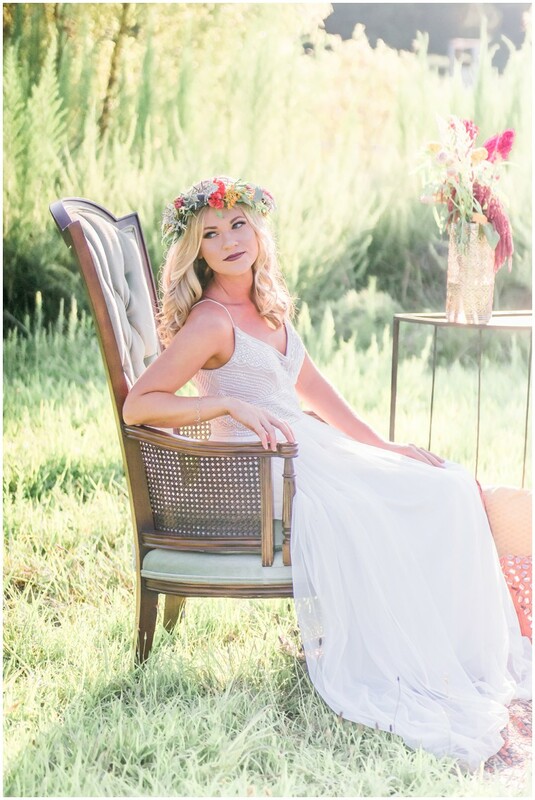 From Manda Weaver Photography: This Elegant Bohemian shoot took place in Salisbury, Maryland at A Little Rusty Shop! 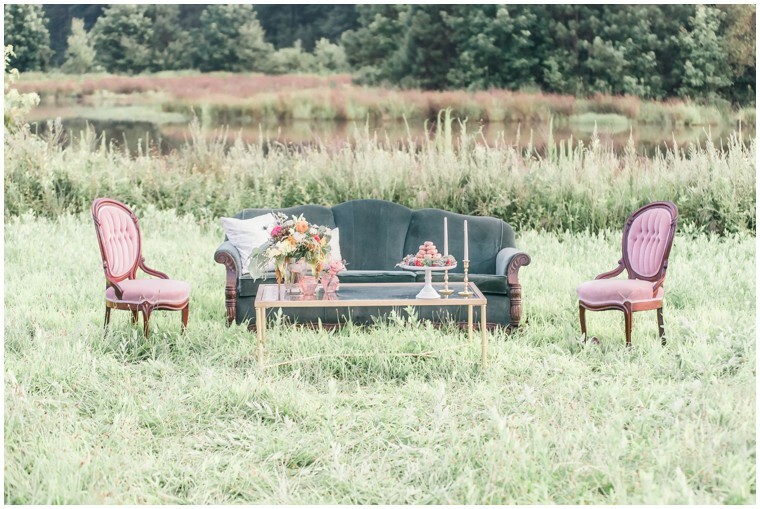 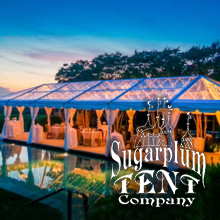 With a color palate of pinks, rusty-orange, & jade, it was our hope to highlight the caliber of talent on the Eastern Shore. 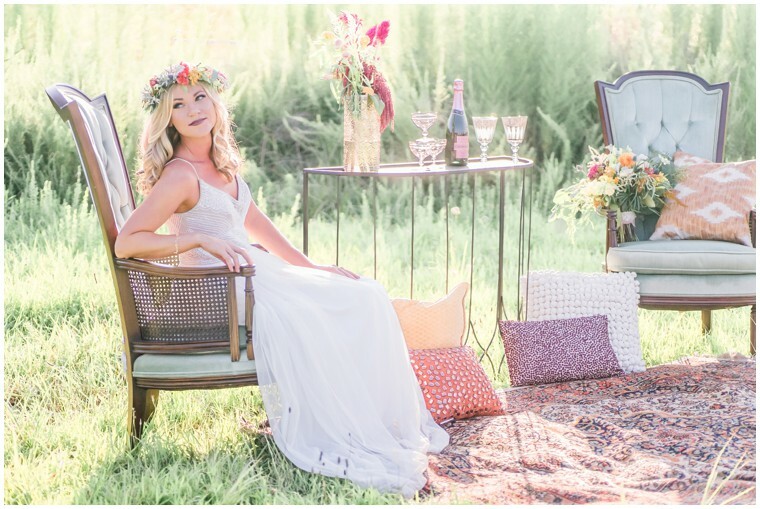 Paige opened A Little Rusty Shop as a much-needed curated rentals resource on the Shore. 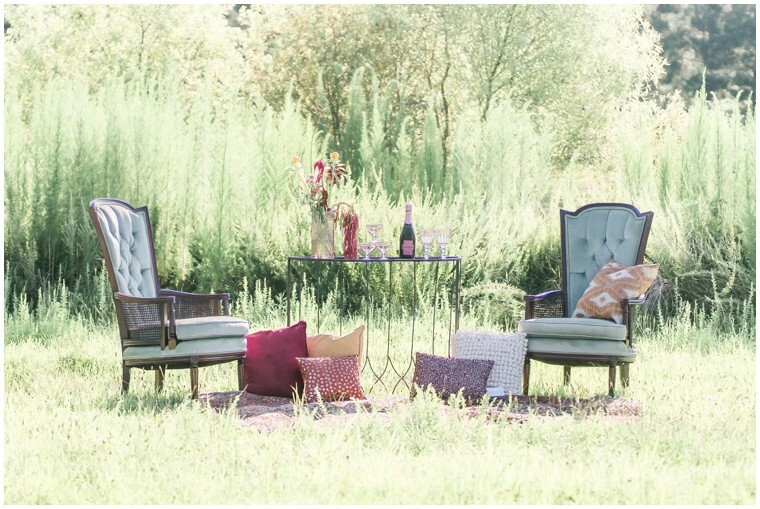 Using the beautiful pieces from her available collection, we created a mixture of stunning lounge-area vignettes. 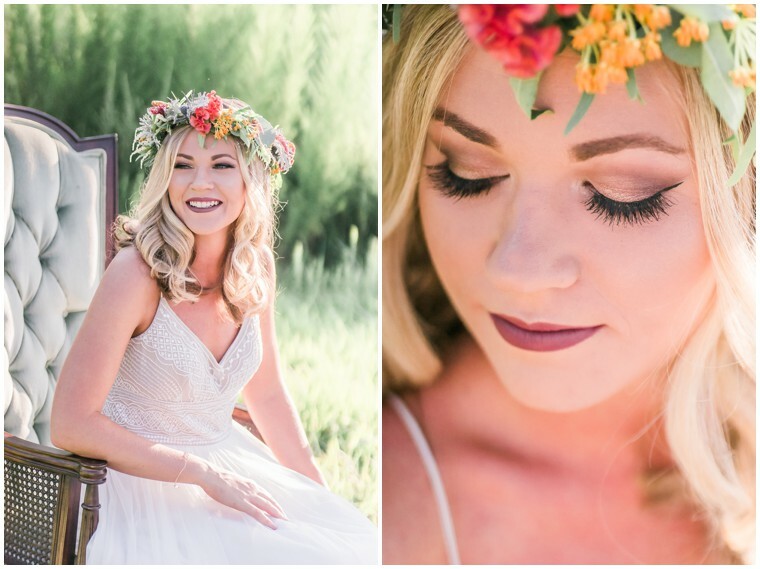 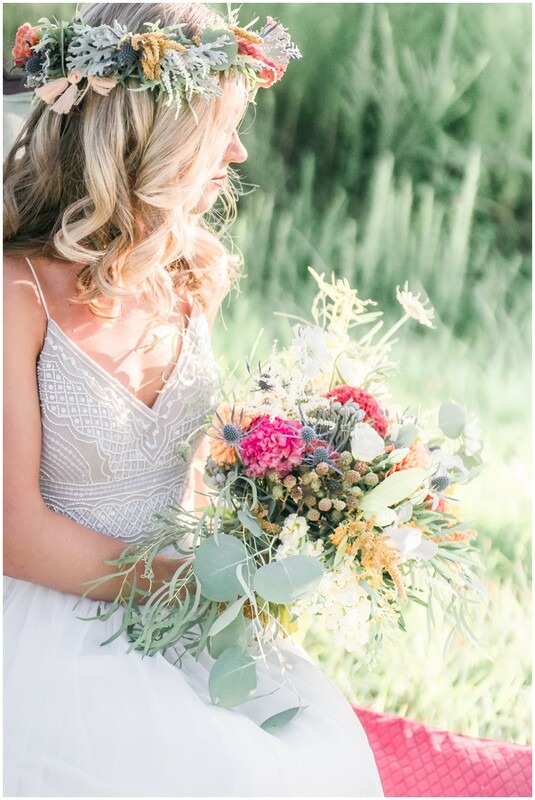 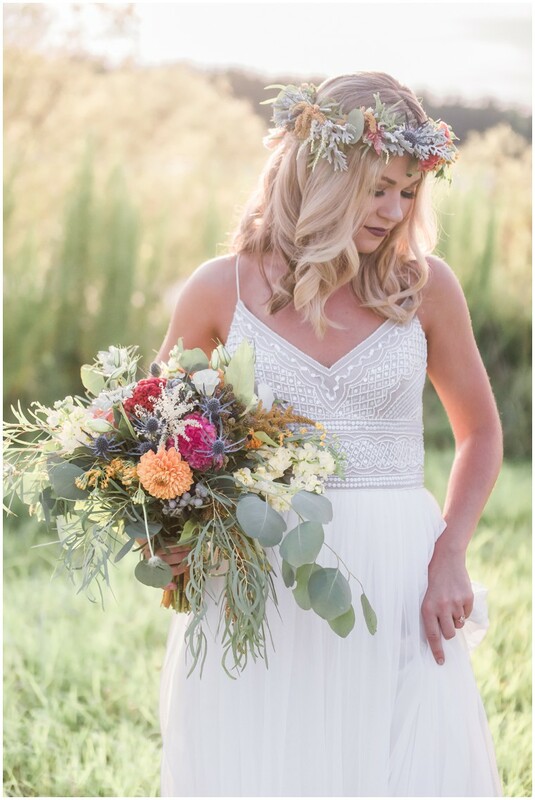 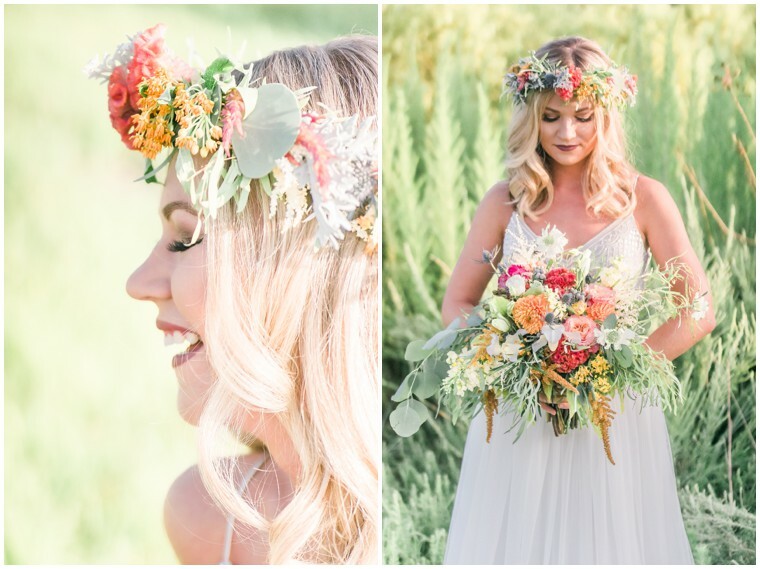 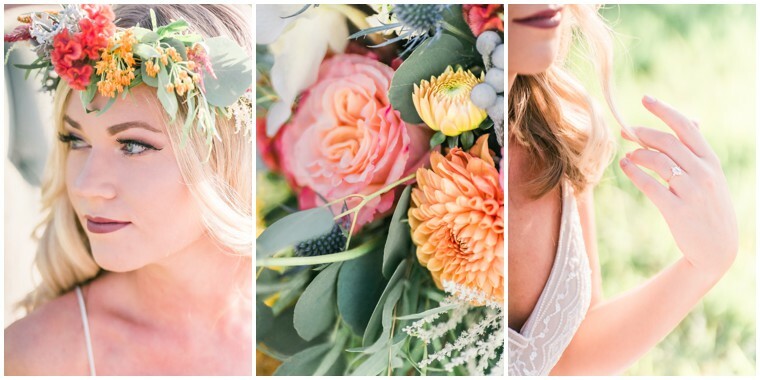 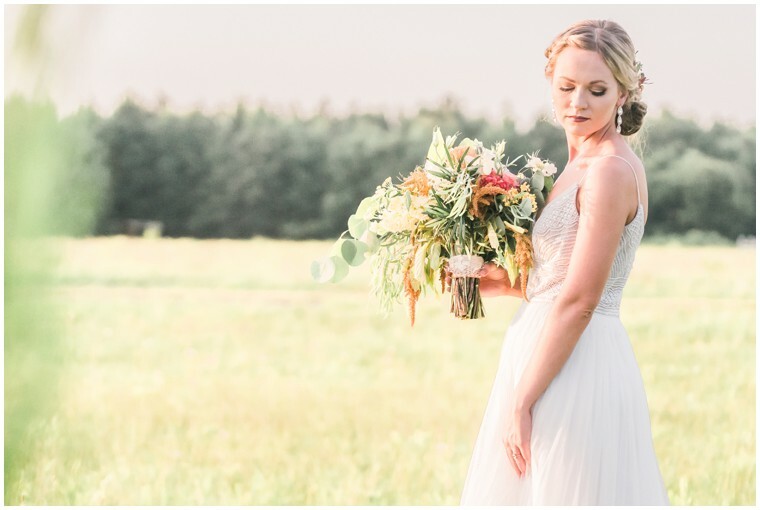 Jackie from Blushed created a flawless look for our bride, and Autumn from Bleached Butterfly, a master of unique floral design, blew us away with her surprising color palette of garden roses, dahlias, sea holly, & eucalyptus.